Hot flashes (HFs), defined as transient sensations of heat, sweating, flushing, anxiety, and chills lasting for 1–5 min, constitute one of the most common symptoms of menopause among women though only a few seek treatment for these. The basis of HFs lies in abnormal hypothalamic thermoregulatory control resulting in abnormal vasodilatory response to minor elevations of core body temperature. Recent data suggest an important role for calcitonin gene-related peptide, hypothalamic kisspeptin, neurokinin B and dynorphin signal system, serotonin, norepinephrine in causation of HFs in addition to estrogen deficiency which plays a cardinal role. The mainstay of treatment includes hormonal replacement therapy, selective serotonin, and norepinephrine reuptake inhibitors in addition to lifestyle modification. 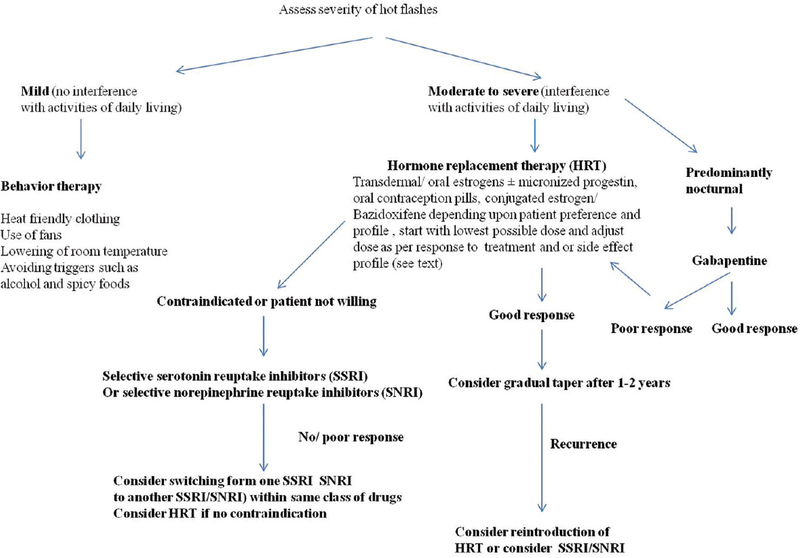 In this review, we address common issues related to menopause HFs and suggest a stepwise approach to their management. Aim: Early and correct diagnosis of ovarian masses has great impact on the ultimate survival. The present study was done to know the role of color Doppler studies in characterization of ovarian masses and to evaluate its efficacy in diagnosis and differentiation of these neoplasms when used along with grayscale (B-mode) ultrasonography (USG). Materials and Methods: Over 2 years, in total, 98 patients with adnexal masses were examined, of which only 60 patients who had ovarian masses and were satisfying inclusion criteria were evaluated sonographically. Grayscale transabdominal and transvaginal sonography was followed by color Doppler with fixed parameters and indices. The results differentiated on sonographic and color Doppler examination were compared with the final diagnosis, based on histopathological examination. Results: Sensitivity, specificity, positive predictive value (PPV), and negative predictive value (NPV) of grayscale ultrasound in detecting malignancy in ovarian masses in the current study were calculated to be 51.85%, 75.75%, 63.63%, and 65.78%, respectively. By combining grayscale and color flow finding, the current study was able to differentiate malignant tumors from benign tumors with a sensitivity of 81.48%, specificity of 93.93%, PPV of 91%, and NPV of 86.11%. 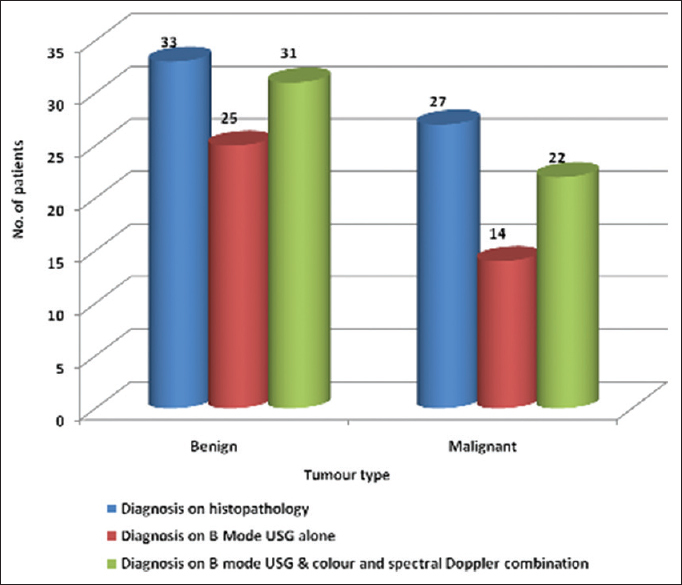 Conclusion: The present study demonstrates a significant increase in the sensitivity, specificity, PPV, and NPV in establishing the preoperative diagnosis of ovarian masses in terms of benign and malignant nature, when color and spectral Doppler was used in combination with USG as compared to grayscale (B-mode) USG alone. Background: Prophylactic salpingo-oophorectomy refers to the removal of clinically normal ovaries at the time of hysterectomy for benign lesions, to reduce the risk of ovarian and breast cancer in future. This risk reduction holds true for high-risk women, i.e., those with strong family history of breast or/and ovarian cancer and those who carry germline mutations (BRCA-1 and BRCA-2). However, it is still one of the commonly performed surgeries in low-risk women and has fallen into controversy. It is said that the number needed to treat is 300. Aims and Objectives: The aim of the study was to analyze and understand the reasons behind women opting for prophylactic oophorectomy in spite of the available evidence. 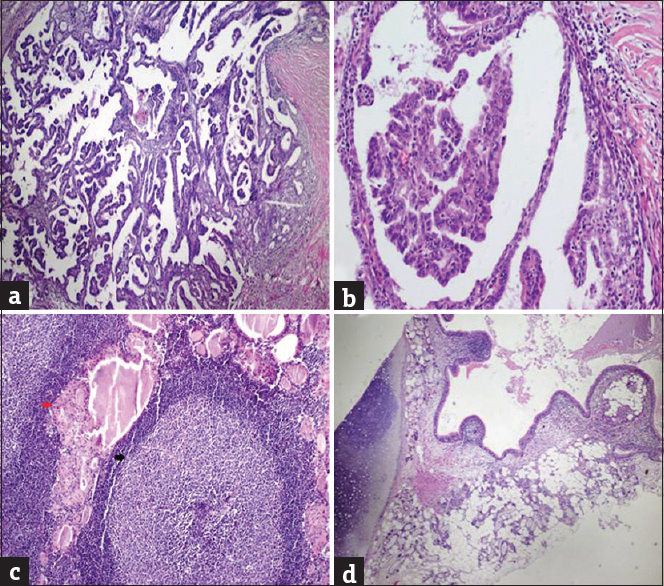 We also aimed to study the histopathology reports of the ovaries and tubes removed prophylactically. Material and Methods: This was a prospective study carried out at a tertiary care center which serves both rural and urban population. Of the 252 patients counseled, 86 patients who opted for prophylactic salpingo-oophorectomy were included in the study. A detailed history, clinical examination, relevant investigations (ultrasonography and CA 125 levels), indications for hysterectomy, reasons for prophylactic oophorectomy, intraoperative findings, and the histopathology findings were noted. Results: Main reasons for opting for prophylactic oophorectomy were lack of understanding and thus dependent on their treating doctor for the decision-making, fear of ovarian malignancy in future, inability to follow-up, and previous one or more abdominal surgeries. Conclusion: We as gynecologists need to reconsider the age at which we recommend prophylactic oophorectomy. Too much negative counseling should be deferred. Background: Menopause is defined as the time of cessation of ovarian function resulting in permanent amenorrhea. Menopause is associated with various symptoms such as physical, vasomotor, sexual, and psychological symptoms. Depression is a common symptom in postmenopausal women as menopause is associated with the end of the fertile period of a women's life. Menopause is an important subject to study as due to increase in life expectancy and improved health care delivery number of postmenopausal women is significantly increasing. Objectives: The objective of the study is to determine the prevalence of depression and its association with sociodemographic factors in postmenopausal women in an urban resettlement colony of Delhi. 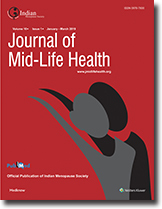 Materials and Methods: A community-based cross-sectional study was conducted among 580 postmenopausal women who were resident of Gokulpuri in North-East Delhi, using a predesigned, pretested, and semi-structured interview schedule. Hamilton Depression (HAM-D) scale was used to find out the prevalence of depression. The collected data were analyzed using SPSS-22 version. Results: In our study, 58.4% postmenopausal women were normal with no depression, 38.3% were in a mild depression, and 3.3% women were having moderate depression. Depression was more prevalent in women belonging to the younger age group, lower socioeconomic status, and illiterate women. Furthermore, the prevalence of depression was more in women who were divorced or widow. Conclusions: Study revealed prevalence of depression in significant number of postmenopausal women. To improve the quality of life of women in postmenopausal period, diagnosis of depression and relevant influencing factors is important. Context: Dalbergia sissoo had shown anti-osteoporotic and fracture-healing activities in animal models of postmenopausal osteoporosis (PMO). Standardized extract of leaves of D. sissoo (SEL-Ds) was clinically evaluated for osteoporosis. Aims: To investigate the anti-osteoporotic activity of D. sissoo in PMO by dual-energy X-ray absorptiometry (DXA), biochemical markers, and effect on clinical profile. Tolerability was assessed by organ function tests and adverse events. Settings and Design: An open-labeled prospective clinical study in ambulant settings was conducted at the menopausal health-care facility of a women's hospital. Materials and Methods: Thirty women (45–69 years) were enrolled for this 1-year study. Evaluations were basally, fortnightly twice, and three monthly four times. SEL-Ds (300 mg) twice daily was administered orally. Calcium (250 mg) and Vitamin D (200 IU) were given twice a day. The efficacy of SEL-Ds was assessed by DXA-scan (spine, femur), by biochemical markers, alkaline phosphatase (ALP), tumor necrosis factor-alpha (TNF-α), and anti-inflammatory marker high-sensitivity C-reactive protein (hs-CRP). Baseline symptom changes and adverse events were carefully recorded. Statistical Analysis: Summary statistics (n, mean, standard deviation, median, and maximum and minimum values) of changes from baseline values and Student's “t-” test for P values were used. Results and Discussion: SEL-Ds was well tolerated at given dose for 1 year. Anti-osteoporotic and anti-inflammatory activities of SEL-Ds were demonstrated by reduction in TNF-α (12.04 ± 2.81–2.35 ± 1.08 pg/ml), ALP (208.75 ± 45.88–154.52 ± 37.25 IU/L), and hs-CRP (6.1 ± 0.77–3.9 ± 0.47 mg/L). BMD-score on DXA-scan also remained unchanged at majority of the bone locations (increased 13/75, unchanged 51/75, and decreased 08/75). Conclusions: D. sissoo has demonstrated anti-osteoporotic and anti-inflammatory activities as indicated by decline in circulating TNF-α along with concurrent reduction in ALP. The nondecline in BMD index in the majority confirms the anti-osteoporotic activity. Anastomosing hemangioma (AH) is a rare vascular tumor, which has a predilection for the genitourinary system. Ovarian AH is rare, only few cases have been reported in literature so far. Here, we report a case of 50-year-old woman with right ovarian mass clinically diagnosed as ovarian epithelial malignancy. We received a specimen of hysterectomy with bilateral salpingo-oophorectomy. Grossly, the right ovary showed a well-demarcated solid and spongy lesion with congested areas which was continuous with a cystic lesion, the wall of which showed luteinization. Microscopy revealed a vaguely lobulated lesion composed of anastomosing capillaries with sinusoidal pattern lined by cytologically bland endothelial cells with hobnail appearance in an edematous and hyalinized stroma. Focal areas showed fibrin thrombi within the capillaries. Immunohistochemically, the endothelial cells were strongly positive for CD31 and CD34. The surrounding ovarian parenchyma showed stromal luteinization. Synchronous primary tumors of female genital tract is a rare phenomenon. We present two cases of anatomically related yet histologically unrelated tumors. 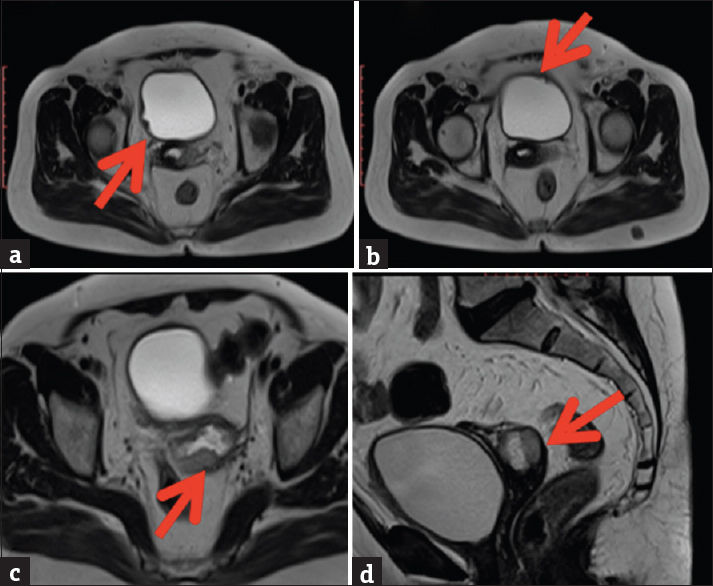 The first patient is a 57 years postmenopausal female with synchronous low grade papillary urothelial carcinoma of the bladder and endometrioid adenocarcinoma of the endometrium. The second patient is a 55 years old lady with independent primary endometriod adenocarcinoma arising from endometrium and ovary. Exact diagnosis and timely intervention is the key of management in cases of synchronous tumors. These tumors have better survival rates and positive outcome if correctly diagnosed and differentiated from metastatic tumors.